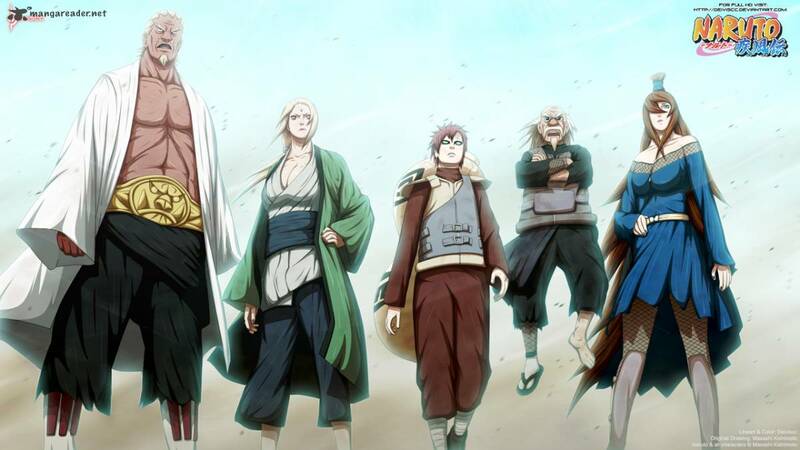 Naruto 563 : Gathering of Five Kage !!! Finally the fifth kage together and fight together against Madara uchiha. In previous episodes Tsunade (the Hokage-6) force to be sent into battle between Tsucikage, Gara, Naruto against Madara uchiha clone. When pressed, suddenly volunteered to naruto kyubi to use the entire cakranya. Kyubi naruto prefer rather than controlled by controlled by Madara. When Naruto reached the limit of strength, a very surprising help arrives from the 6th Hokage and Raikage using Teleportation Technique. This technique is actually very dangerous for Tsunade, because his body will be destroyed when it passes through the speed of light. However, Tsunade has a great disc to recover the cells.